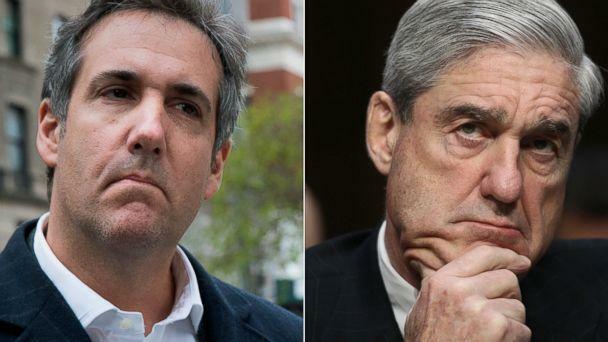 President Donald Trump’s former personal attorney, Michael Cohen, has participated over the last month in multiple interview sessions lasting for hours with investigators from the office of special counsel, Robert Mueller, sources tell ABC News. The special counsel’s questioning of Cohen, one of the president’s closest associates over the past decade, has focused primarily on all aspects of Trump's dealings with Russia -- including financial and business dealings and the investigation into alleged collusion with Russia by the Trump campaign and its surrogates to influence the outcome of the 2016 presidential election, sources familiar with the matter tell ABC News. Investigators were also interested in knowing, the sources say, whether Trump or any of his associates discussed the possibility of a pardon with Cohen. Over the 16 months that Mueller has been investigating, the president has repeatedly bashed the investigation as a partisan witch hunt, insisting there has been no collusion and no obstruction of justice. The interviews with Cohen took place in Washington, D.C., and New York City. They were also attended in part by prosecutors from the U.S. Attorney’s Office in the Southern District of New York. Cohen’s participation in the meetings has been voluntary -- without any guarantee of leniency from prosecutors, according to several people familiar with the situation. ABC News has also learned that Cohen is also cooperating with a separate probe by New York state authorities into the inner workings of the Trump family charity and the Trump Organization, where Cohen served as an executive vice president and special counsel to Trump for 10 years. The news of Cohen’s dealings with federal and state investigators comes close on the heels of another potentially perilous legal development for the president: the guilty pleas last week from Trump’s former campaign chairman, Paul Manafort, who struck a deal with Mueller’s prosecutors in exchange for his cooperation. As the Manafort deal was taking shape -- Mueller’s team had already been talking to Cohen. And given Cohen’s prolonged time spent in proximity to Trump, his family and the inner-workings of the Trump Organization, some insiders consider his cooperation with authorities to be one of most serious potential legal threats to confront the president. 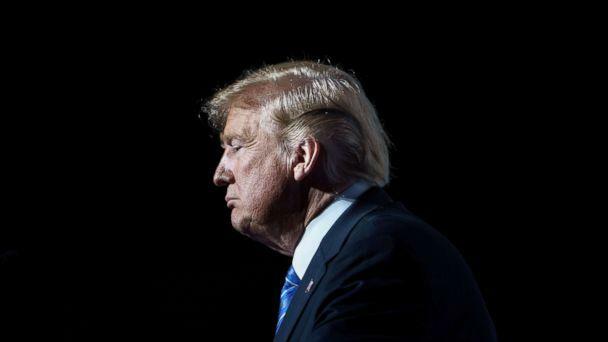 President Trump and his lawyers have lately been harshly critical of Cohen ever since he made clear earlier this year, in an exclusive interview with ABC News, that he was willing to cooperate with prosecutors, even if that placed the president in legal or political jeopardy. The former Trump loyalist said in the interview he rejected Trump’s claims that the Mueller investigation was a “witch hunt” orchestrated by his political enemies. Rudy Giuliani, Trump’s current personal attorney, who in May called Cohen “an honest, honorable lawyer,” has more recently claimed that Cohen is fabricating stories about Trump in order to protect himself. “There’s nobody that I know that knows him that hasn’t warned me that if his back is up against the wall, he’ll lie like crazy, because he’s lied all his life,” Giuliani told CNN in July. Last month in New York, Cohen pleaded guilty to eight felonies, including bank fraud, tax evasion and two campaign finance violations in connection with alleged hush money payments to women who have claimed affairs with Trump. 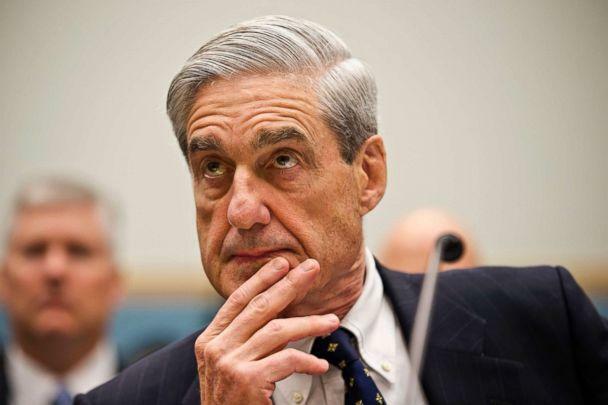 Mueller’s team had referred the investigation of those crimes to federal prosecutors in New York, which led subsequently to coordinated raids of Cohen’s law office and residences in April. At a plea hearing in August, Cohen told a federal judge that he had arranged for the payments to two women “in coordination with, and at the direction of a candidate for federal office," referring to then-candidate Trump, and added that he participated in the transactions with the principal purpose of influencing the election. Those statements, under oath, were an about-face from Cohen’s public comments about his role in the deals with Karen McDougal and Stephanie Clifford, aka Stormy Daniels. Cohen had previously insisted that he’d paid Clifford with his own money, on his own initiative and without the knowledge of Trump. 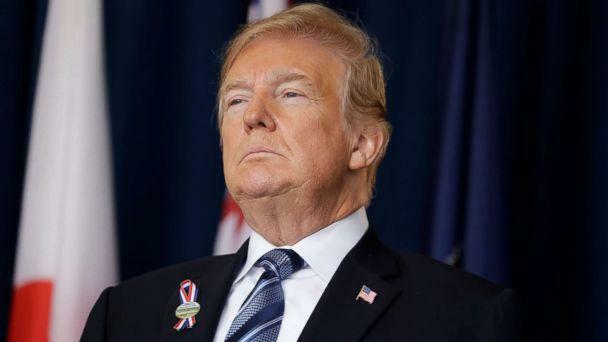 The president has long denied the allegations of the affairs with McDougal and Clifford and has claimed he did not know in advance about the deals Cohen secured. On the day of Cohen’s court appearance, the president openly mocked him on Twitter. “If anyone is looking for a good lawyer, I would strongly suggest that you don’t retain the services of Michael Cohen!” the president wrote. 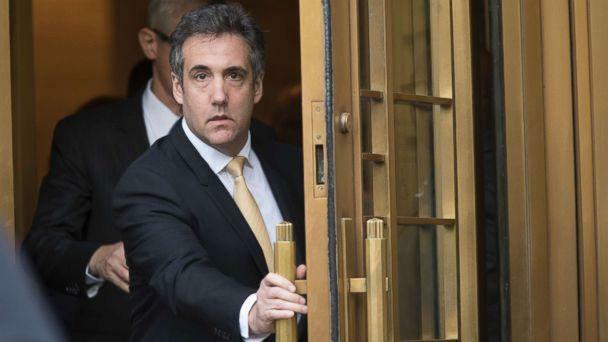 Since entering his guilty pleas last month -- Cohen has also been in contact with the New York Attorney General’s office, according to multiple people close to the matter. In June, the New York Attorney General, Barbara Underwood, filed a civil lawsuit accusing Trump's charitable foundation and its directors of having "operated in persistent violation of state and federal law governing New York State charities" for more than a decade by paying off legal bills with charitable funds, promoting Trump hotels, and purchasing personal items. The lawsuit names Trump, his sons Don Jr. and Eric, and his daughter, Ivanka, as defendants. Underwood’s office has not ruled out launching a state criminal investigation into the foundation if the evidence warrants it. And she has also asked the Internal Revenue Service and the Federal Election Commission to look into the charity’s operations. A spokesperson for the New York Attorney General’s office declined to comment for this report. Cohen’s relationship with Trump dates to the mid-2000’s after Cohen, who owned condominiums in multiple Trump buildings in New York, took Trump’s side in a legal dispute with the condo board at Trump World Tower on Manhattan’s East Side. He joined the Trump Organization in 2007. Cohen’s dealings at the Trump family business cover a broad sweep of its global empire -– including several projects that have caught the attention of federal investigators. Cohen played an integral role in early discussions about a possible Trump Tower in Moscow -- negotiations that were going on during the early months of the 2016 presidential campaign. That deal never reached fruition. Cohen has confirmed he attended a lunch meeting with a Ukrainian politician one week after Trump took office, where the two men discussed the potential for Cohen to share a Ukraine peace proposal with his contacts at the White House. And Cohen’s name appeared repeatedly in the now infamous dossier of unverified allegations, which included salacious claims about Trump, prepared by former British intelligence agent Christopher Steele. The agent, who was hired by an opposition research firm that was paid initially by Republicans and later by Democrats, alleged Cohen’s involvement in attempting to covering up contacts between Russian operatives and members of Trump campaign. Since entering his guilty pleas last month, friends of Cohen say that he has felt isolated. He is unemployable, facing an avalanche of debt and the possibility of spending several years in federal prison. With a net worth at one time of several million dollars, Cohen recently launched an online GoFundMe fundraising effort to help pay his mounting legal fees. He is scheduled to be sentenced in New York federal court on December 12. A spokesman for Office of the special counsel declined to comment on this story. An attorney for Cohen could not immediately be reached.